DIPLOMACY by OBJECTIVE with H.E. 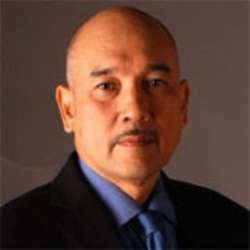 Peter F. Gontha, Indonesian Ambassador to Poland. As the founder of Jakarta International Java Jazz Festival, Peter F. Gontha started his career as a businessman before being appointed as the Ambassador of Indonesia to Poland in October Protected content . In this public discussion, he will share his experience during his tenure as an Ambassador and how he creatively managed day-to-day diplomacy, using his background in business.